While there are books treating individual topics contained in this book, this will be the first single volume providing a cohesive treatment on this subject as a whole. This goes beyond optical communications in that it includes related topics such as sensing, displays, computing, and data storage. 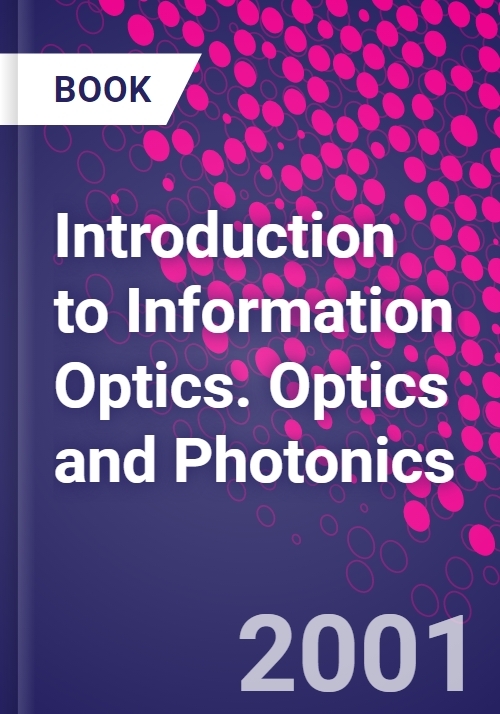 Dr. Yu is a pioneer in optical information processing, and a famous professor who is widely respected for his great contribution in optical technology and education. He is a fellow of IEEE, OSA and SPIE.Francis T.S. Yu received his B.S.E.E. degree from Mapua Institute of Technology, Manila, Philippines,and his M.S. and Ph.D. degrees in electrical engineering from the University of Michigan, Ann Arbor. Since 1980, he has been a Professor in the Electrical Engineering Department at The Pennsylvannia State University. He has been a consultant to several industrial and government laboratories. He is an active researcher in the fields of optical signal processing, holography, optics and information theory, and optical computing. He has published over 300 refereed papers in these areas. He is a recipient of the 1983 Faculty Scholar Medal for Outstanding Achievement in Physical Sciences and Engineering, a recipient of the 1984 Outstanding Researcher in the College of Engineering, was named Evan Pugh Professor of Electrical Engineering in 1985 at Penn State, a recipient of the 1993 Premier Research Award from the Penn State Engineering Society, and was named Honorary Professor in Nanki University in 1995.He is the author and co-author of seven books, has contributed several invited chapters in various monographs and books, and has co-edited two books.